Over the last few months we’ve spent much of our time together talking about shopping and stocking real food. In order to live a real food lifestyle, it’s critical to change our buying habits, exchanging the packaged food for fresh ingredients. I know this information can feel overwhelming. Trust me, I’ve been there and I’m here to help. 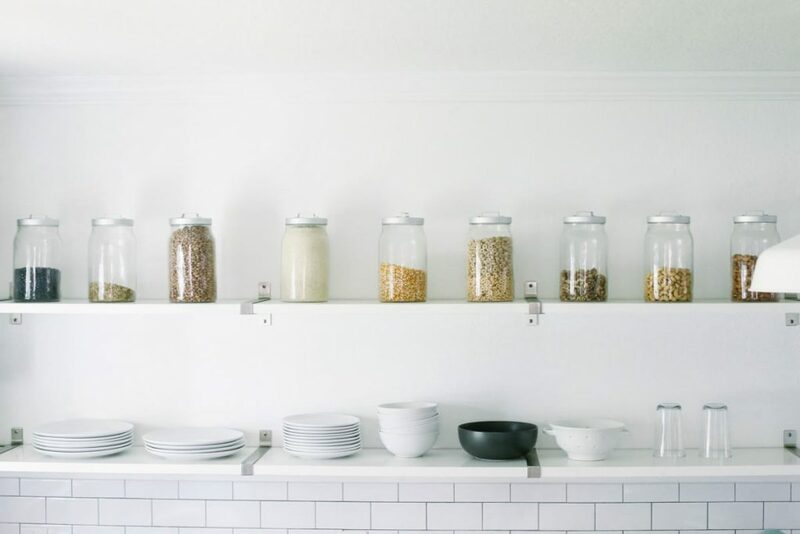 Once you’ve learned the basics of real food (basically saying no to overly processed “food” and saying yes to real ingredients) you can begin stocking your pantry, fridge, and freezer for real food success. The stocking part takes time, so be patient! The goal is progress, not perfection. 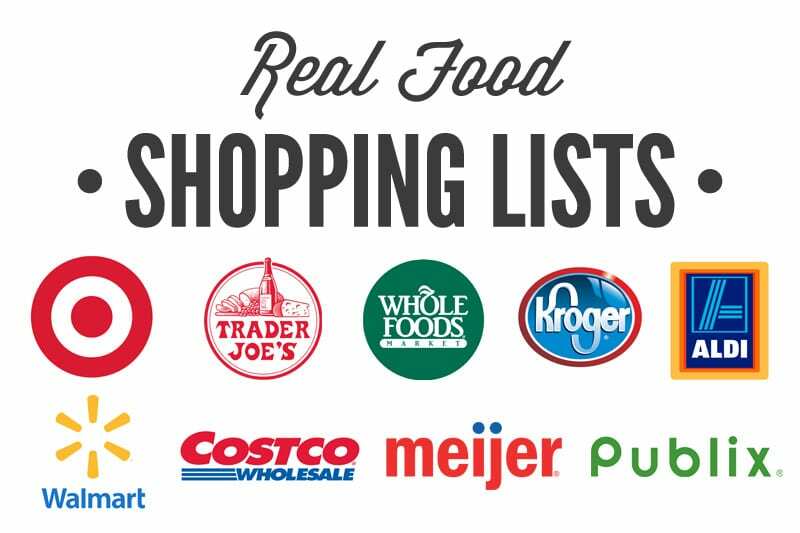 Shopping for real food looks different for each family. For some, this may mean “shopping” from a backyard garden and supplementing from a market or store. For others, this may look like a trip to the only store in town. And for others, this may look like a trip to Costco and then visiting smaller stores. 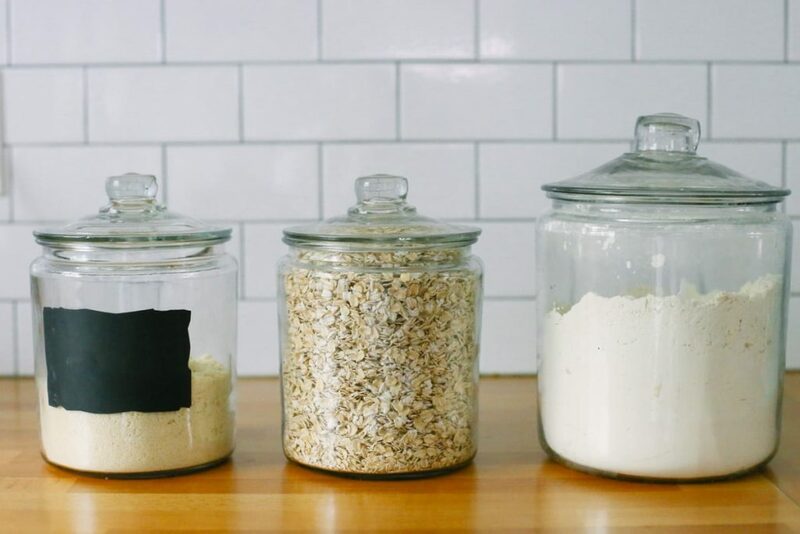 Finding a routine that’s doable, within your budget, and works for your real food lifestyle is important. Today, I’m going to get really personal and share what a real food shopping trip looks like for me. My goal in sharing my shopping trip haul is to provide a real life example of what I purchase each week and how I use this food to nourish my family. This week, I’m sharing my shopping trip haul. Next week, I’m going to share what a prep time looks like with the food I purchased. 1. 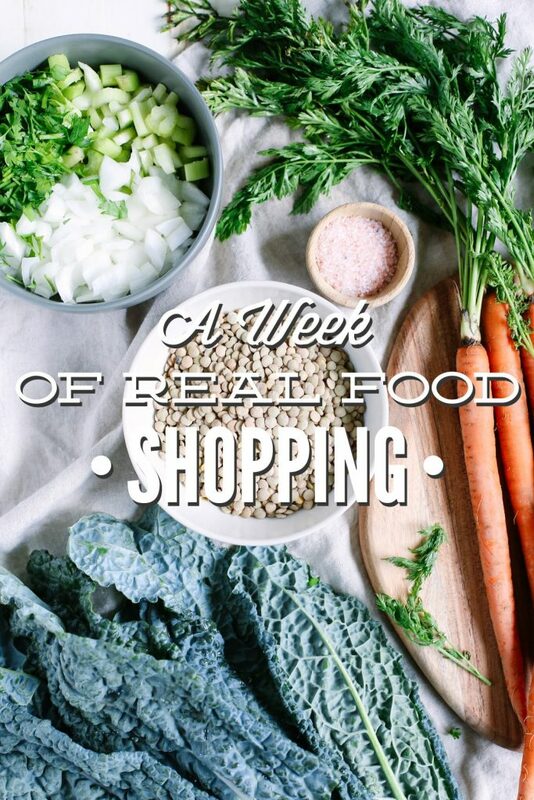 I shop at two stores each week: a local health food store and Whole Foods. The local health food store is my main shopping destination due to the availability of food and affordable prices! I visit Whole Foods for a few items (like eggs) that I can’t find at my health food store. 2. Our farmer’s market season is October through May. I plan to start visiting the market again next week and will shop there on a bi-monthly schedule (the market is a 30 minute drive from our home). 3. I’ve been traveling a lot, so I haven’t had time to plant our fall garden just yet. When our garden is flourishing, we enjoy a small amount of veggies and lots of herbs from our backyard. 4. I’m a huge fan of Costco. I purchase tuna, bulk frozen fruit and veggies (peas and broccoli), Kerrygold Butter, toilet paper, rice, etc. I usually visit Costco every 2-3 months. 5. Most food purchases are based on my weekly meal plan. Shopping without a plan is a recipe for failure. Trust me, I’ve tried to “wing” my shopping trips way too times and the result is always bad news: overspending, rotten food, hungry family members, and a stressed out mom (oh hey!). Okay guys, let’s get to the good stuff…a week of real food shopping. As mentioned in the video, I shop according to my weekly meal plan. If you’d like to learn more about planning real food, I highly recommend taking the Real Food Planning Challenge. 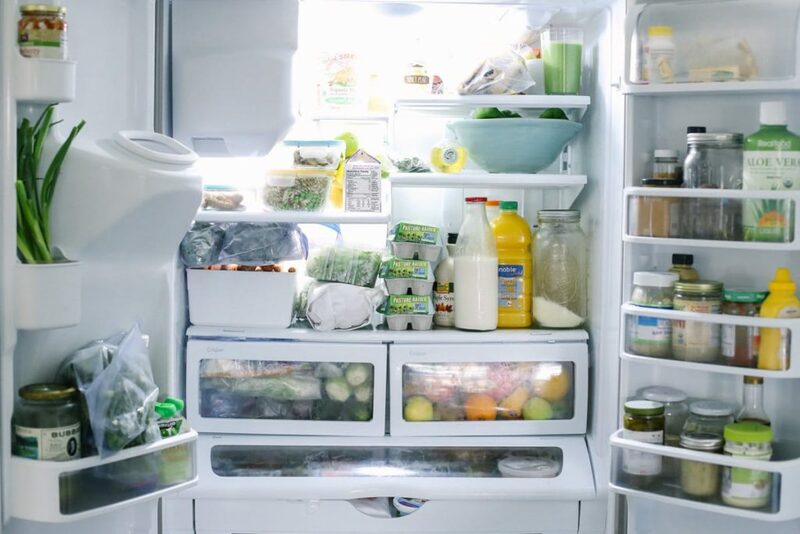 In the posts below, you’ll find helpful photos, tips, and a printable to help you source real food. 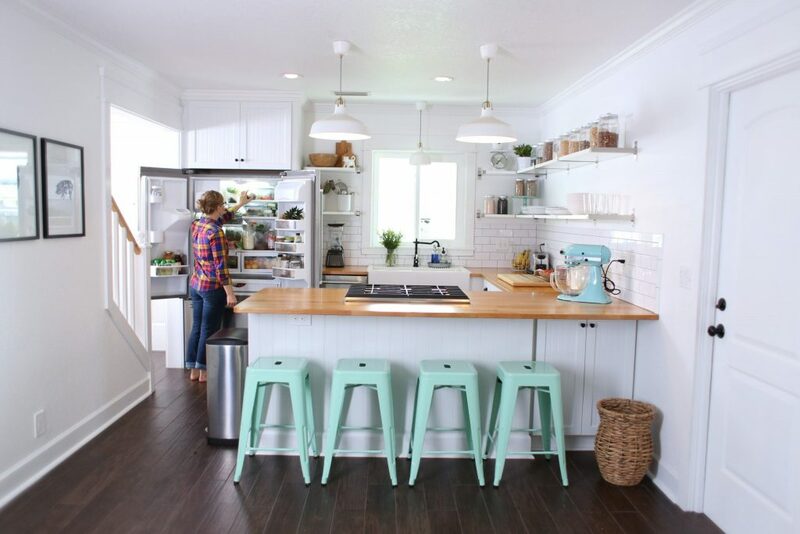 In the posts below, you’ll find tips for stocking a real food kitchen. Next week I’ll share what my prep time looks like based on my meal plan and shopping trip. Another incredibly practical and well-organized post. Thank you! I can’t wait for Part 2! Thank you so much, Summer! I can’t wait to share part two ;). Very interesting article and video. I usually only buy real foods and actually buy them in bulk (here’s a link to my shopping kit: http://consciousbychloe.com/2015/09/22/the-ultimate-zero-waste-shopping-kit/) but for the last 3 weeks, I’ve been doing a cleanse and wasn’t allowed any sugar, meat, fish, eggs and nuts. 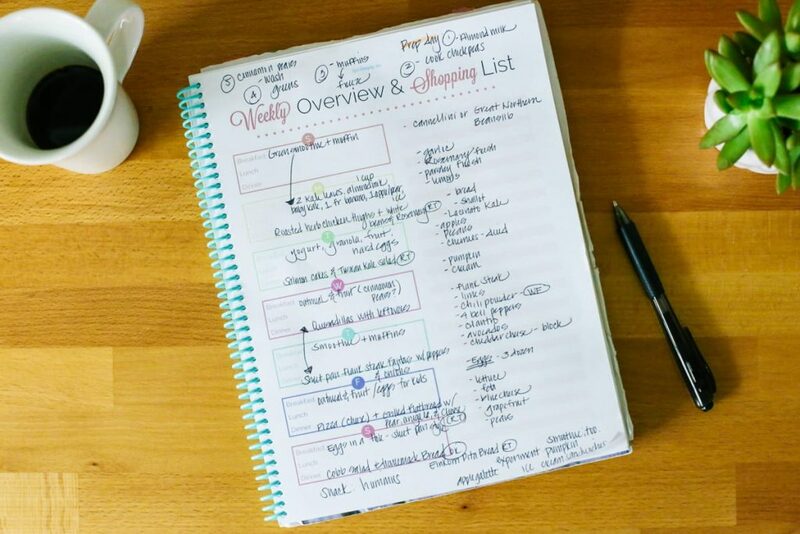 This took meal planning to another level! I’m gonna start adding these foods next Monday but loved the challenge and the reflexion it implied. Very cool, Chloe. Thank you for sharing! Hey Kristin, What company do you use to buy your kumbucha? I am trying to find a place near me…..
Hey Jamie, I purchase a local brand called Mother Kombucha.